Fast & Furious 7 production has been put on hold after Paul Walker’s death on Saturday. Filming had been scheduled to resume in Atlanta this week but has so far been cancelled and Universal Pictures has declined to say when it will restart. Paul Walker, 40, died when a Porsche being driven by his friend Roger Rodas, who also died, crashed near Los Angeles. 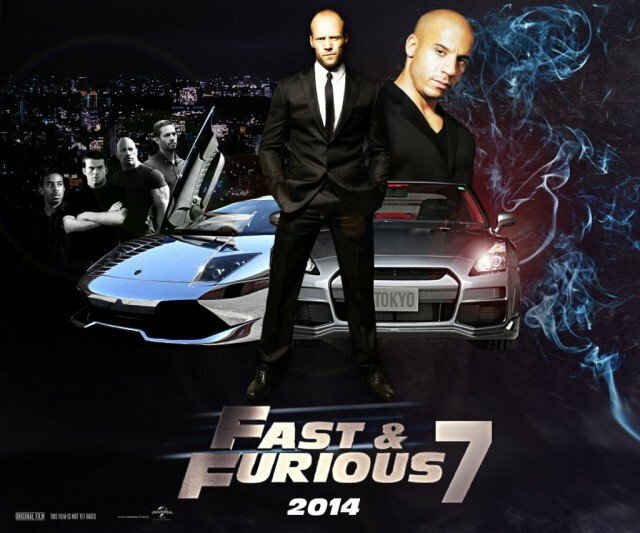 The film company will donate proceeds from the upcoming DVD release of Fast & Furious 6 to Paul Walker’s charity. Paul Walker founded Reach Out Worldwide in 2010 to give first-response aid to victims of natural disasters and had been hosting a fundraiser for the charity on Saturday afternoon when he went for a drive with fellow car enthusiast Roger Rodas. The lucrative Fast & Furious franchise became one of Hollywood’s biggest hits thanks to its reliable formula of high-speed chases, underground gangs and thrilling stunts and has starred Paul Walker in all but one installment. Fast & Furious 6 became the highest-grossing film in the series to date, earning more than $788 million worldwide when it was released in May. Its follow-up is scheduled for release in July 2014, and although Universal Pictures is expected to go forward with the film, it has not yet announced how it will handle Paul Walker’s unfinished performance. A large portion of the car-racing movie has been shot since filming began in September, but it is currently incomplete. Paul Walker starred in two further films that have yet to be released. Hurricane Katrina drama Hours, which the actor also produced, is being released in the US later this month. Brick Mansions, a remake of the French action film District B13, is due for release early next year. Paul Walker’s family has asked that donations be made to the late actor’s charity Reach Out Worldwide instead of flowers or gifts.